We will be administering Mock STAAR tests on February 20-23, 2018 for all 2nd – 6th grade students. During Mock STAAR, we do our best to replicate the testing situation for the students. By working together, we can make your child testing experience positive and successful. Please help by make sure your child gets a good night’s rest, make sure he/she eats a healthy breakfast, and arrive to school on time. Most importantly, gently encourage your child to take the test seriously and to do their absolute best. 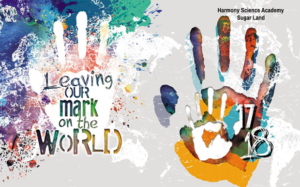 Harmony Science Academy Sugar Land is sharing this information about the district and your child’s campus with you as part of its obligations under the federal No Child Left Behind Act of 2001 (NCLB). 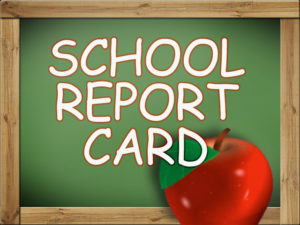 Federal Report Cards for the state, the district, and each of the district’s campuses are now available on the district’s website at this link: https://new.harmonytx.org/academics.php or are also available on the Texas Education Agency’s website at: https://tea.texas.gov/Finance_and_Grants/Grants/Federal_Report_Card/. If you have difficulty accessing the information from the website, hard copies of the reports are available at the district or campus office. PTO will be selling valentine grams from February 9-14th at the school cafeteria. 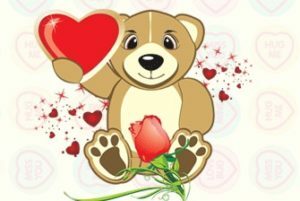 Volunteers are needed to sell and distribute the valentine grams, please go to the link below and sign up today. All volunteers must first sign up at VOLY. 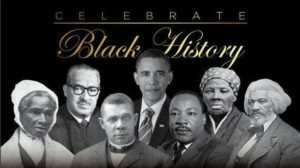 On February 16, 2018 we will be celebrating prominent African Americans in history with our annual Black History Parade. We invite all parents to join us at 8:30am in front of the school to enjoy the parade and hard work of the students and teachers. Don’t miss out on ordering your HSA-SL 2017-2018 yearbook. All yearbooks will be hardcover with full color photo pages, including an autograph page for friends and teachers to sign. All orders will be completed online using the following link: www.inter-state.com/yearbook. Enter our school code: 27227S. For a limited time yearbooks will be on sale for $35.00. After February 14, 2018 the price will increase to $40.00. For an added bonus – if you would like to purchase the 2016-2017 yearbook we still have a few available. 2016-2017 yearbooks may be purchased for $10.00 with proof of purchase of the 2017-2018 yearbook. https://harmonypublicschools.network/hsasl-new/wp-content/uploads/sites/127/2017/10/HSA-Sugar-Land-WHITE-letters-300px.png 0 0 rdamirov https://harmonypublicschools.network/hsasl-new/wp-content/uploads/sites/127/2017/10/HSA-Sugar-Land-WHITE-letters-300px.png rdamirov2018-02-07 11:02:222018-02-07 11:02:22Order Your Yearbook Today!!! Please be aware that this Thursday, Feb 8th, we will be holding parent teacher conferences between 1:30-5:30. 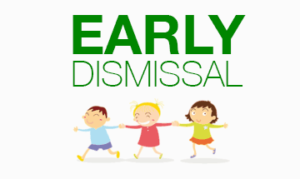 In observance of parent teacher conferences, we will have early dismissal at 12:30. Please make the necessary accommodations for your child to be picked up. All after school clubs and tutorials will be cancelled. Zenith will be operating at their normal hours. Survey invitation: We value your feedback about our campus! Thank you for taking the School Quality Survey. Everyone has a voice in Harmony Public Schools’ ongoing pursuit of educational excellence, and I am asking for candid feedback about your child’s campus. We want to hear your thoughts on critical issues, including academics, student support, parent engagement, diversity, school operations, and the accessibility of school leaders. Note: This link will only work once; please don’t forward it to another person. If you know someone who would be interested in taking the survey, please ask them to email SouthwestRegion@k12insight.com for a survey link. This survey will take approximately 10 minutes to complete. Your answers are strictly confidential, so please answer honestly. Reports will share only the overall results and will not identify individuals. No one in the district will know if you participated unless you identify yourself in the open-ended comments. Engaging in ongoing, two-way dialogue is critical to providing your children with the best possible education. After the survey closes, we will share the findings and the steps we’re taking as a result of your feedback. Todos los padres tienen una voz en la búsqueda continua de la excelencia de sus hijos en las escuelas de Harmony, y hoy les pedimos que brinden su opinión sincera sobre la escuela de su hijo(a). Queremos conocer sus opiniones en cuanto a aspectos críticos, como la preparación académica, el apoyo al alumno, la participación de los padres, la diversidad, las operaciones de la escuela y la accesibilidad a los líderes de la escuela. Nota: Este enlace solo funcionará una vez; no se lo envíe a otra persona. Si conoce a alguien que quiera tomar la encuesta, dígales que envíen un correo electrónico a SouthwestRegion@k12insight.com para recibir un enlace de la encuesta. Podrá completar esta encuesta en aproximadamente 10 minutos. Todas las respuestas son estrictamente confidenciales, así que no dude en responder con sinceridad. Ya que sólo compartiremos los resultados generales, los informes no identificarán a ningún individuo. Nadie en el distrito sabrá si usted participó menos que usted se identifique en los comentarios. Participar en un diálogo continuo y bidireccional es fundamental a medida que trabajamos juntos para brindar a nuestros alumnos la mejor educación posible. Después de que la encuesta se cierre, compartiremos los resultados y qué cambios específicos pueden anticipar como resultado de sus opiniones. Gracias por tomar tiempo para compartir su opinión. https://harmonypublicschools.network/hsasl-new/wp-content/uploads/sites/127/2017/10/HSA-Sugar-Land-WHITE-letters-300px.png 0 0 rdamirov https://harmonypublicschools.network/hsasl-new/wp-content/uploads/sites/127/2017/10/HSA-Sugar-Land-WHITE-letters-300px.png rdamirov2018-02-06 14:45:092018-02-06 14:45:49Survey invitation: We value your feedback about our campus!